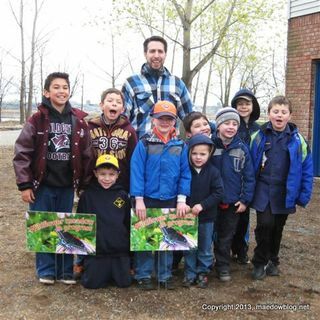 Carlstadt Pack 51 Cub Scouts planted the rain garden & butterfly meadow planting @ RBP on Saturday in celebration of Earth Day 2013. 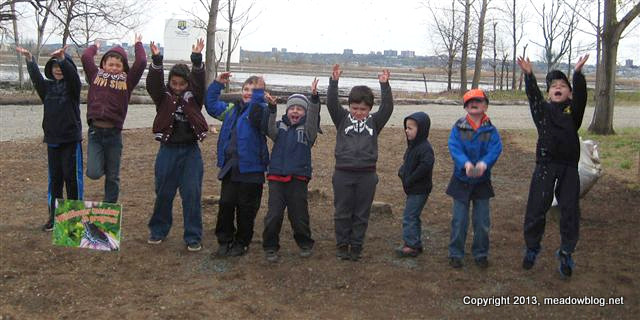 The scouts planted 200 native plants in the rain garden & seeded a 2,000 SF native wildflower meadow. The wildnewjersey.tv blog features an Alice Leurck photo of one of the Ridgefield Park Bald Eagles. Not sure if it is Al or Alice. 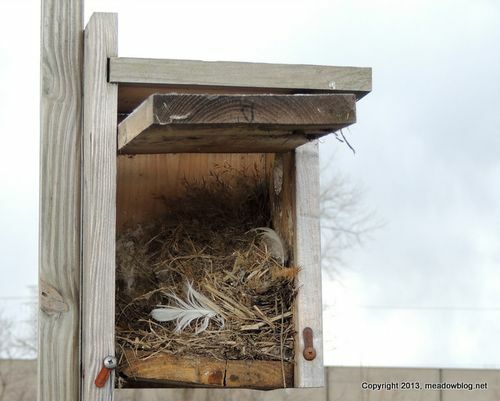 What kind of nest box is this — and how can you tell?